consumers Archives · Stop the Cap! Exploring the FCC’s Latest Proposal to “Streamline” Rules; And What About That $225 Complaint Fee? In an effort to “streamline” procedural rules and paperwork at the Federal Communications Commission, FCC Chairman Ajit Pai is proposing to theoretically weaken the existing informal complaints process, leaving consumers with unresolved complaints only one firm option — paying a $225 filing fee to pursue a formal complaint at the Commission regarding their internet service provider. Three years ago, the FCC stepped up involvement in the consumer complaints process to keep an eye on the marketplace and its providers — to see whether consumers were being well-served and ferret out companies that were not responsive or “bad actors” in the industry. The best way the FCC determined that was to track and measure consumer complaints. The proposed changes supported by Chairman Pai are subtle, but in the regulatory world, a few words can mean a lot — something the New York State Public Service Commission and Charter/Spectrum are debating right now. A single appendix in the 2016 Merger Order approving Charter’s acquisition of Time Warner Cable and the cable company’s interpretation of it led to threats by the PSC to de-certify the multi-billion dollar merger. Matthew Berry, the FCC’s chief of staff, promptly attacked as “fake news” a partly specious article on the subject published by The Verge (which was substantially modified from the original this afternoon). But Berry ignores the fact the proposal states up front it amends or changes current rules. Whether the FCC intends to make changes in its day-to-day operations as a result is a separate matter from the rules that govern the FCC’s work. The former can be changed almost at will, the latter cannot. 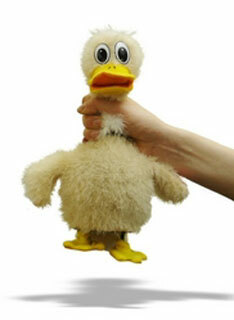 The Commission will forward informal complaints to the appropriate carrier for investigation. The carrier will, within such time as may be prescribed, advise the Commission in writing, with a copy to the complainant, of its satisfaction of the complaint or of its refusal or inability to do so. Where there are clear indications from the carrier’s report or from other communications with the parties that the complaint has been satisfied, the Commission may, in its discretion, consider a complaint proceeding to be closed, without response to the complainant. In all other cases, the Commission will contact the complainant regarding its review and disposition of the matters raised. If the complainant is not satisfied by the carrier’s response and the Commission’s disposition, it may file a formal complaint in accordance with § 1.721 of this part. The Commission will forward informal complaints to the appropriate carrier for investigation and may set a due date for the carrier to provide a written response to the informal complaint to the Commission, with a copy to the complainant. The response will advise the Commission of the carrier’s satisfaction of the complaint or of its refusal or inability to do so. Where there are clear indications from the carrier’s response or from other communications with the parties that the complaint has been satisfied, the Commission may, in its discretion, consider a complaint proceeding to be closed. In all other cases, the Commission will notify the complainant that if the complainant is not satisfied by the carrier’s response, or if the carrier has failed to submit a response by the due date, the complainant may file a formal complaint in accordance with § 1.721 of this part. At first glance, these two sections appear nearly identical. The subtle changes relate to defining, in writing, the exact responsibilities of the FCC. Weasel words like “may,” “advise,” “in its discretion,” and “consider” are red flags. When these kinds of words replace black letter words like “will,” the rules are weakened by making them discretionary. In such cases, a decision to pursue a matter is no longer a requirement, it’s an option. In this case, Mr. Pai is proposing to reduce the FCC’s obligations to oversee an informal consumer complaint from the moment it is received to its ultimate disposition. Under the current complaint rules, the FCC has collected a lot of information about the nature and resolution of consumer complaints. Let’s say Nancy Smith files a informal complaint against Comcast using the FCC’s online complaint center. Right now, the FCC requires Comcast to respond to Nancy’s complaint within 30 days. Comcast knows that the FCC will be monitoring the complaint and Comcast’s response. If Comcast were to ignore the letter or dismiss it, the FCC will be watching. Consumers getting squeezed by reduced oversight. 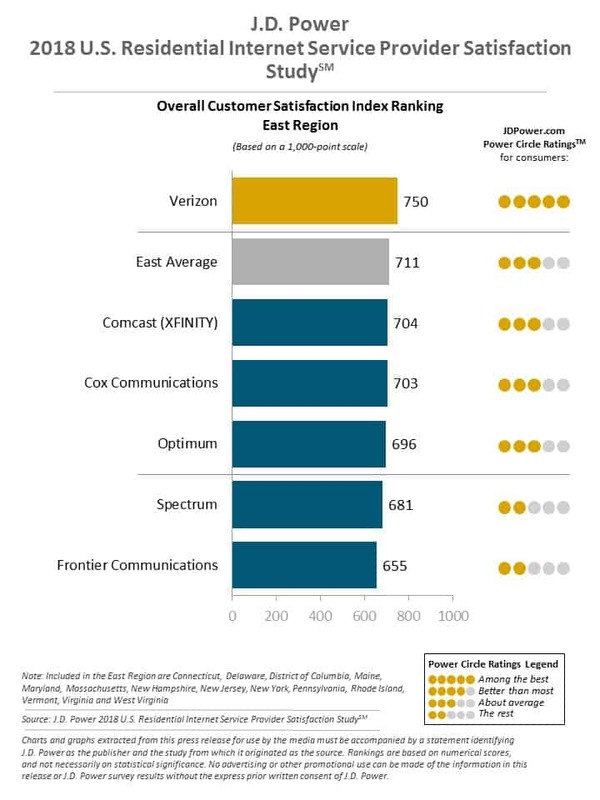 The high complaint rates earned by telecom companies have been fodder for regulators and politicians for years, so most companies refer complaints filed with the FCC to their highest level “executive customer service” personnel empowered to resolve complaints almost anyway they can. If Mrs. Smith is pleased with the response from Comcast, the cable operator knows the FCC sees that as well. 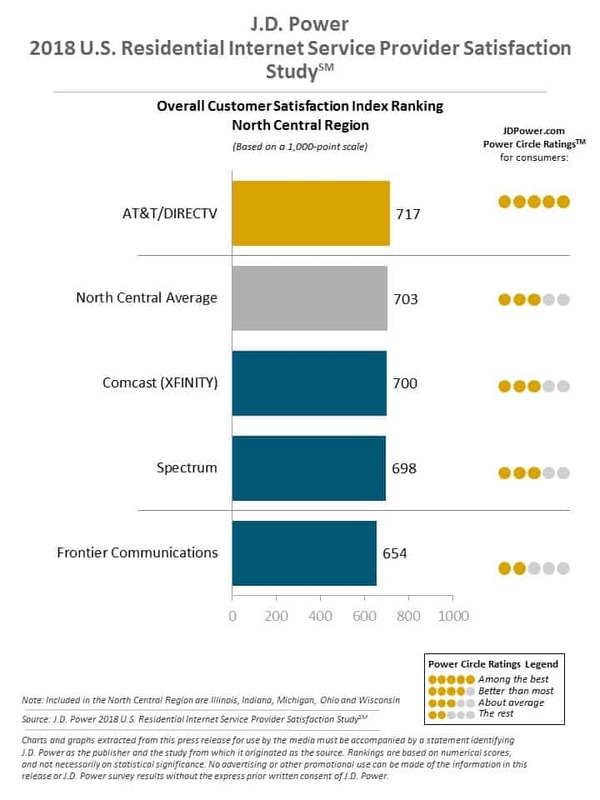 Comcast is also sensitive to the fact the FCC might one day act on unresolved issues that generate the most complaints. 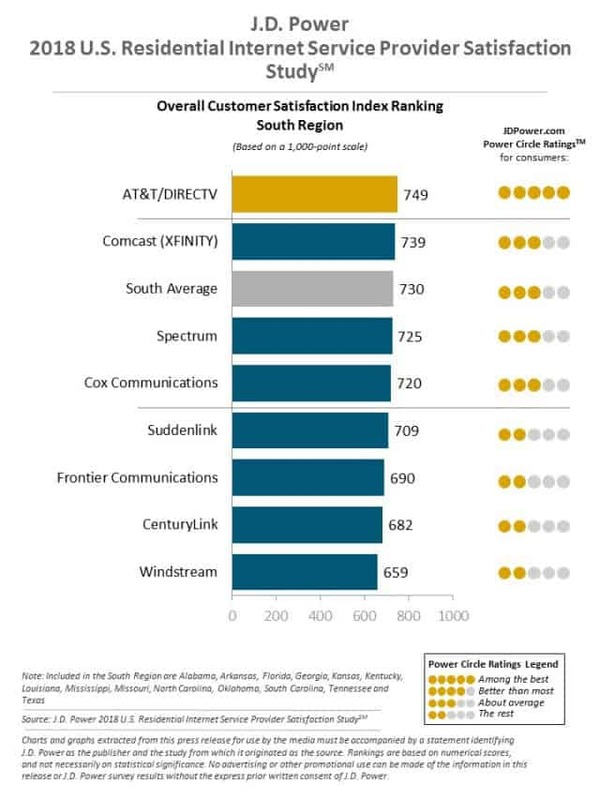 Over time, statistics gathered by the FCC will reveal the companies least willing to cooperate with their customers and those most motivated to resolve issues. 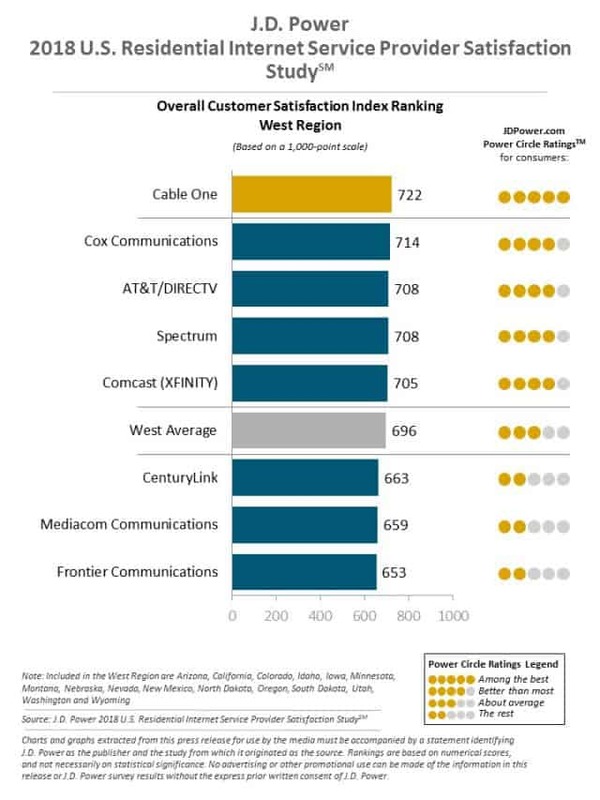 That could count if a company like Comcast sought a merger with another cable company with a lower complaint rate, for example. Under the proposed informal complaint rules, the FCC’s role is effectively reduced to a complaint letter-forwarder. Nancy Smith’s letter sent to the FCC under the new rules will still be forwarded to Comcast and probably arrive with a 30 day deadline to respond, should the FCC choose to maintain that requirement. In a theoretical response to Mrs. Smith, the FCC can immediately notify her it has forwarded her complain to Comcast and regardless of the provider’s response (assuming Comcast sends one), her only recourse if she remains dissatisfied is to pursue a formal complaint — the one that involves a previously established $225 filing fee and comes with a mass of terms, conditions, and requirements comfortable only for lawyers and lobbyists. A “practice” is not a “rule” or “requirement,” however. “Substantive grounds” is also undefined in the footnote and could be subject to interpretation. After all, Mr. Pai has also claimed that repealing net neutrality would have no substantive impact on the internet. 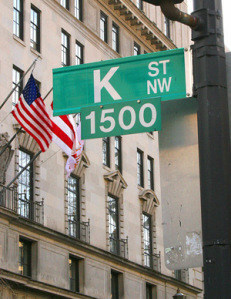 D.C.’s lobbyists routinely make regulatory language change suggestions on behalf of their clients. Lobbyists are paid handsomely to urge adoption of similar, subtle modifications in regulatory rules and laws because they can establish loopholes large enough to drive a truck through. In virtually every proceeding, comments routinely focus on proposed language changes. This will be the core part of the discussion at the FCC before voting on the rule change proposal as early as tomorrow – July 12, 2018. In practical terms, the changes are designed to subtly distance the FCC from involvement in consumer disputes with their providers. Oversight is weakened in this proposal, but more importantly, the focus of the FCC’s mandate changes from “the first responsibility of the FCC is to represent consumers” in 2015 to “if the complainant is not satisfied by the carrier’s response, or if the carrier has failed to submit a response by the due date, the complainant may file a formal complaint.” Only then, assuming a consumer successfully navigates a very complicated procedure to file a formal complaint and correctly follow notification requirements, will the FCC be compelled by the rules to stay involved with a complaint from start to finish. Keep in mind companies that frequently have regulatory business before the FCC have staff attorneys and employees familiar with the FCC’s bureaucracy and rules. A $225 filing fee is an afterthought. For the average consumer, neither is probably true. The likely result of the change will act as a deterrent for consumers relying on the FCC to help them resolve problems. Providers will also quickly recognize the FCC is no longer as willing to scrutinize customer complaints. 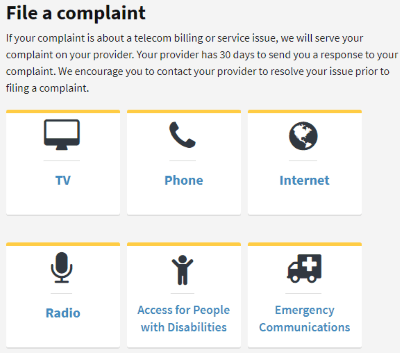 We are deeply concerned that the Federal Communications Commission (FCC) is poised to adopt a rule that would eliminate the agency’s traditional and important role of helping consumers in the informal complaint process. Too often, consumers wronged by communications companies face unending corporate bureaucracy instead of quick, meaningful resolutions. Historically, FCC staff has reviewed responses to informal complaints and, where merited, urged companies to address any service problems. Creating a rule that directs FCC staff to simply pass consumers’ informal complaints on to the company and then to advise consumers that they file a $225 formal complaint if not satisﬁed ignores the core mission of the FCC — working in the public interest. At a time when consumers are highly dissatisfied with their communications companies, this abrupt change in policy troubles us. After reviewing a lot of regulatory proceedings and comments over the last ten years of Stop the Cap!, it troubles us too. FCC Chairman Ajit Pai has gone all out to defend internet service providers and his plan to jettison Net Neutrality, claiming companies like Twitter and other “edge providers” that offer a platform to a diversity of voices are a much bigger threat to an open internet than companies like AT&T and Comcast. 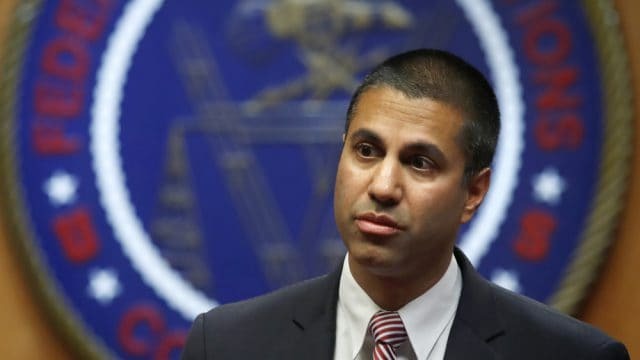 Speaking at the Future of Internet Freedom conference in Washington, Pai faced down the torrent of criticism that has been expressed about his plans to roll back Title II enforcement of ISPs and Net Neutrality rules that protect internet content from discriminatory behavior. In remarks to the audience, Pai used partisan framing to criticize companies like Twitter that he claims have targeted bans on conservative users who violate its terms and conditions and removes tweets for political reasons. Edge providers champion their own free speech while supporting online censorship at the behest of foreign governments for business reasons. Twitter blocked, then rescinded its block, on one sponsored Tweet from Blackburn that claimed in the ad she ‘stopped the sale of baby body parts.’ Twitter declared the ad was inflammatory and violated Twitter’s advertising standards. Other media fact-checkers were less polite, calling her claim false advertising. “No investigation ever found proof of actual tissue sales. The only criminal charges stemming from the videos were filed against antiabortion activist David Daleiden and another activist in California for violations of privacy. Yet to this day, ‘baby body parts’ remain a rallying cry in conservative and antiabortion circles,” according to a Washington Post story. Twitter’s advertising standards differ from its general code of user conduct. 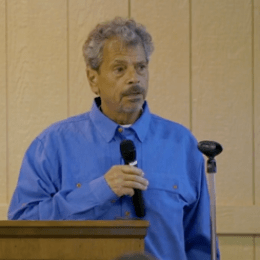 Pai suggests YouTube is unfairly restricting Mr. Prager’s videos, but in fact it is only placing advisories on some of his more inflammatory content warning the video may not be suitable for some audiences. YouTube also demonetized certain videos, making them ineligible for pre-roll advertisements, primarily because advertisers do not want to be associated with inflammatory content. But no videos have been censored, blocked, or removed. Anyone can view them by acknowledging the content advisory. Members of the LGBTQ community have also been upset with YouTube for similar actions, so there is scant evidence YouTube’s motives are political and target conservatives. Pai’s ‘mysterious algorithms’ have existed across the internet for years, including Verizon’s “super cookie” and AT&T that extracted more money from customers to switch off its monitoring and tracking software following customers’ internet usage. Pai was highly instrumental in blocking internet privacy regulations that would have forced the kind of disclosure of practices he suddenly objects to now. Pai’s claims about American companies caving in to foreign governments’ censorship policies seem to echo his similar 2015 claim that Net Neutrality also helps authoritarian regimes, as long as one interprets Net Neutrality as a “government takeover” of the internet. “If in the United States we adopt regulations that assert more government control over how the internet operates… it becomes a lot more difficult for us to go on the international stage and tell governments: ‘Look, we want you to keep your hands off the internet. Even if the ideas aren’t completely identical, you can appreciate the optical difficult[y] in trying to make that case,” Pai said. But that argument distorts like a fun house mirror. Pai’s declaration that Net Neutrality is a bad thing is based on his premise it would hand the keys to information control to the government to act as gatekeeper. He prefers trusting private companies to be more reliable and safer gatekeepers than the FCC or the Trump Administration. But that argument puts Pai at war with himself, considering his attacks on edge providers — private companies — for bias and censorship. Incidentally and ironically, he raised many of his 2015 objections on RT — the external television service of Russian State Television. 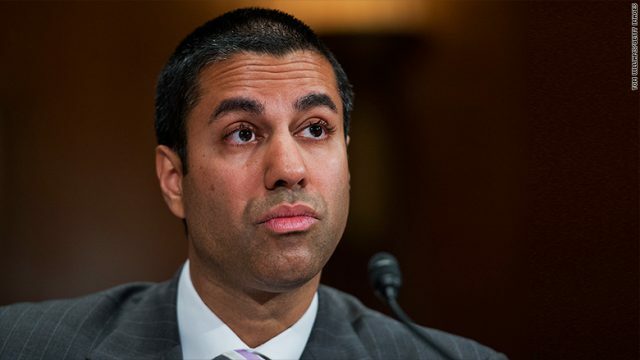 Pai reserved much of his remarks to attack Hollywood celebrities that occasionally inelegantly promote Net Neutrality with inexact language Pai loves to exploit. 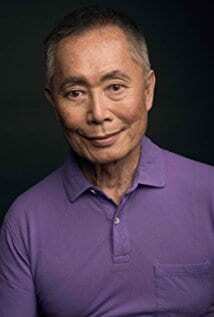 Among his targets were Mark Ruffalo, who played Hulk, Cher, and George “Sulu” Takei. Pai called out Mr. Takei for his suggestion eliminating Net Neutrality would allow internet companies to further monetize the internet by selling additional packages of services to access certain internet content. But of course that didn’t prevent ISPs like Comcast and AT&T to impose data caps on their customers with scant evidence of their necessity and with purely arbitrary allowances. From this regime of data caps, Wall Street analysts push providers to further monetize internet usage to raise revenue to return to shareholders. What customers want has not had much impact on Comcast’s business decisions, as the record on data caps illustrates. The threat of regulation like Net Neutrality enforcement has cooled enthusiasm for these pricing schemes, however, until recently. In April, after Mr. Pai introduced his Net Neutrality repeal plan, Comcast quietly repealed its self-ban on paid prioritization — internet fast lanes. In a barely competitive marketplace, what customers want may not count for much if they have few, if any alternatives. Chip Pickering, CEO of INCOMPAS, which includes as member major Silicon Valley edge providers, called Pai’s speech a diversion from the real issues. Stop the Cap! is writing to express our opposition to any modification now under consideration of the 2015 Open Internet Order. Since 2008, our all-volunteer consumer organization has been fighting against data caps, usage-based billing and for Net Neutrality and better broadband service for consumers and businesses in urban and rural areas across the country. Providing internet access has become a bigger success story for the providers that earn billions selling the service than it has been for many consumers enduring substandard service at skyrocketing prices. It is unfortunate that while some have praised Clinton era deregulatory principles governing broadband, they may have forgotten those policies were also supposed to promote true broadband competition, something sorely lacking for many consumers. In upstate New York, most residents have just one significant provider capable of meeting the FCC’s 25Mbps broadband standard – Charter Communications. In the absence of competition, many customers are complaining their cable bills are rising. Now providers are lobbying to weaken, repeal, or effectively undermine the 2015 Open Internet Order, and we oppose that. We have heard criticisms that the 2015 Order’s reliance on Title II means it is automatically outdated because it depends on enforcement powers developed in the 1930s for telephone service. Notwithstanding the fact many principles of modern law are based on an even older document – the Bill of Rights, the courts have already informed the FCC that the alternative mechanisms of enforcement authority that some seem motivated to return to are inadequate. In fact, the only important element of the pre-2015 Open Internet rules that survived that court challenge was a disclosure requirement that insisted providers tell subscribers when their internet service is being throttled or selected websites are intentionally discriminated against. Unfortunately, mandatory disclosure alone does not incent providers to cease those practices in large sections of the country where consumers have no suitable alternative providers to choose from. Reclassifying broadband companies as telecommunications services did not and has not required the FCC to engage in rate regulation or other heavy-handed oversight. It did send a clear message to companies about what boundaries were appropriate, and we’ve avoided paid prioritization and other anti-consumer practices that were clearly under consideration at some of the nation’s top internet service providers. In fact, the evidence the 2015 Open Internet Order is working can be found where providers are attempting to circumvent its objectives. One way still permitted to prioritize or favor selected traffic is zero rating it so use of preferred partner websites does not count against your data allowance. Other providers intentionally throttle some video traffic, offering not to include that traffic in your data allowance or cap. Still others are placing general data caps or allowances on their internet services, while exempting their own content from those caps. Our organization is especially sensitive to these issues because our members are already paying high internet bills with no evidence of any rate reductions for usage-capped internet service. In fact, many customers pay essentially the same price whether their provider caps their connection or not. It seems unlikely consumers will be the winners in any change of Open Internet policies. Claims that usage caps or paid prioritization policies benefit consumers with lower prices or better service are illusory. One thing is real: the impact of throttled or degraded video content which can be a major deterrent for consumers contemplating disconnecting cable television and relying on cheaper internet-delivered video instead. Arguments that broadband investment has somehow been harmed as a result of the 2015 Order are suspect, if only because much of this research is done at the behest of the telecom industry who helped underwrite the expense of that research. Remarkably, similar claims have not been made by executives of the companies involved in their reports to investors. Those companies, mostly publicly-traded, have a legal obligation to report materially adverse events to their shareholders, yet there is no evidence the 2015 Order has created a significant or harmful drag on investment. In a barely regulated broadband duopoly, where no new significant competition is likely to emerge in the next five years (and beyond), FCC oversight and enforcement is often the only thing protecting consumers from the abuses inherent in that non-competitive market. 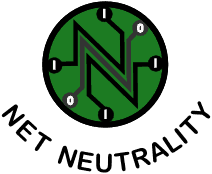 Preserving the existing Open Internet rules without modification is entirely appropriate and warranted, and has not created any significant burdens on providers that continue to make substantial profits selling broadband service to consumers. 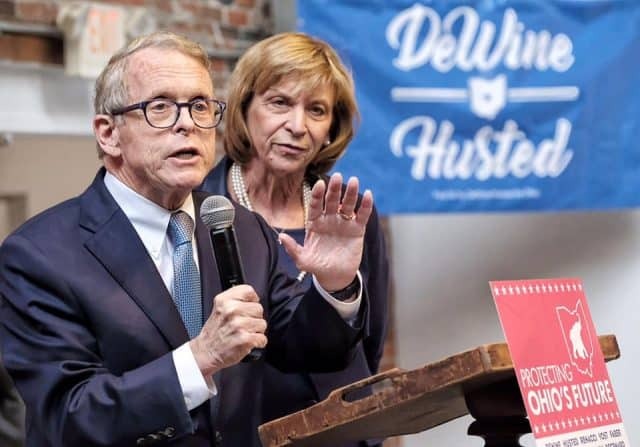 Transferring authority to an overburdened Federal Trade Commission, not well versed on telecom issues and with a proven record of taking a substantial amount of time before issuing rulings on its cases, would be completely inappropriate and anti-consumer. Therefore, Stop the Cap!, on behalf of our members, urges the FCC to retain the 2015 Open Internet Order as-is, leaving intact the Title II enforcement foundation.